Media Integrated Applied Psychology, LLC, is a media publishing company based in Central Kentucky, owned and operated by Jen Wilke-Deaton. The company is dedicated to creating and publishing innovative,media-enriched approaches to wellness, with a focus on research and compassion. We strive to create products that have a greater impact on personal well-being and healthfulness, and are committed to a high standard of research-based imagery techniques that make a noticeable difference in peopleâ€™s daily lives. Specifically, the products we release are meant to help others in their ability to tolerate daily stress, focus their attention in positive and fruitful directions, and grow a more grounded sense of self. 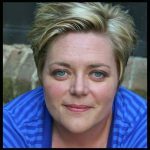 Jenn ifer Wilke-Deaton, MA, LPA, is a licensed behavioral health therapist working in a private practice setting in Richmond, KY. Jen has more than 20 years of experience working with crisis management, psychological testing, inpatient/outpatient treatment, groups, families, and the court system. A tireless and passionate advocate for children and families, she developed a parent training program recognized by the Governor’s Commission for the Treatment of Children &Families and Kentucky’s Child Protective Services. Jen helped create a regional children’s crisis stabilization unit, children’s advocacy center, and an intensive after-school program for behaviorally-challenged youth. She has published the Creative Parenting Handbook, CD Awareness In Focus: Modern Guided Imagery Techniques for Immediate Practice, CD Awareness in Focus By Kids For Kids, and The Mandala Workbook: Activities Across the Lifespan. In addition to delivering her nationally recognized training programs for PESI/CMI and keynote presentations, Jen regularly speaks on mental health issues and child abuse for Morehead State University, Eastern Kentucky University, KY Child Protective Services, and National Public Radio; as well as providing psychological evaluations and therapeutic services for the Department of Disability Determinations and the Office of Vocational Rehabilitation. Jennifer consults regularly for private/state foster care organizations, social services, schools (pre-K-12), psychiatric hospitals, Head Start programs, in-home therapy programs, and case management services. Her specialties are in the areas of child abuse, PTSD, DBT, behavioral disorders, anxiety, autistic spectrum, and attachment. Her clinical expertise is apparent in the careful selection of language and imagery in our products. 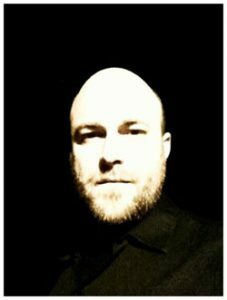 Evan Scott Lain hart, BA, is a musician and multi-disciplinary artist currently living and working in Richmond, KY. He received his bachelor’s degree in fine arts from Otterbein University in Columbus, OH, and has been immersed in music and musical training throughout much of his life. He has shown artwork regionally with the Richmond Area Arts Council as well as in other venues. He is invested in researching the basis and impact of models of mindfulness, and incorporating his training into compelling musical and artistic representations that are easily accessible. His musical expression powerfully blends modern electronic-based approaches, ambient styles, and traditional instrumentation into a fluid and appealing product for a wide range of ages and cultural backgrounds. Continuing to produce music and tools for living a mindful life.